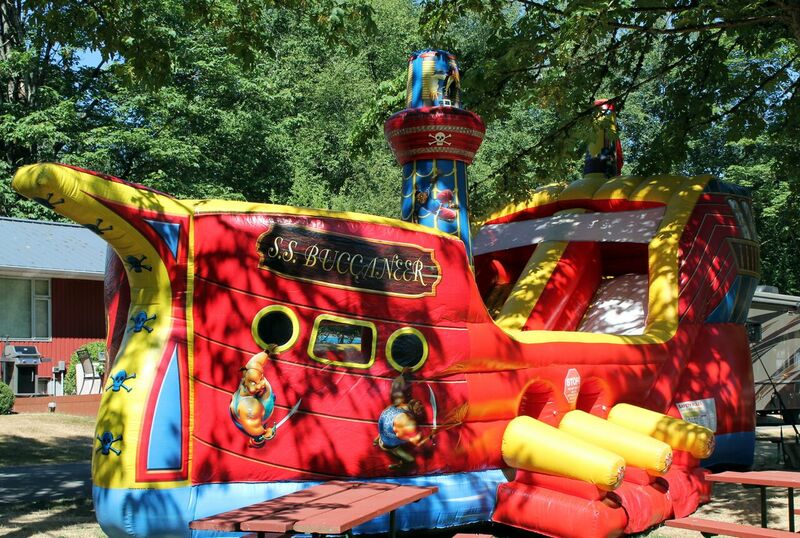 The Buccaneer bounce house features a jump area, climbing ramp, and slide. 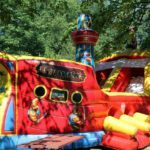 The inflatable has lively pirate decals around the outside, making it an appropriate addition to pirate or undersea themed events. 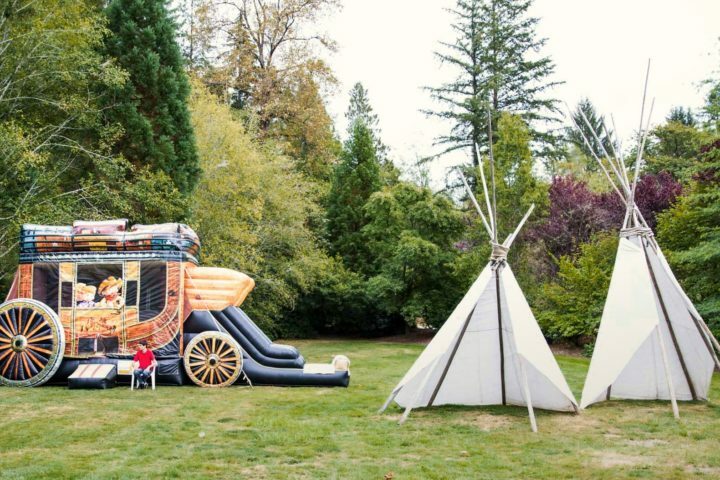 The inflatable can hold up to eight children at a time, and with the variety of activities, the kids are bound to keep coming back again and again. 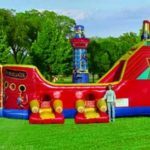 With this bounce house and slide rental, it is required that one person monitor the attraction at all times. This can be accomplished through a volunteer from your organization, trained by our event lead, or through a hired event staff. When being monitored correctly, an attendant can help make sure all of the kids are participating safely, and not causing a risk of harm to themselves or others. A properly staffed inflatable can also assist with line management, and improve the overall guest experience. Delivery of this unit indoors requires at least double door access, and will not fit through a standard single door entrance. NEP event crew members will secure the bounce unit to the whatever surface it is setup on using a combination of stakes and sandbags. A safe pirate ship is a fun pirate ship! 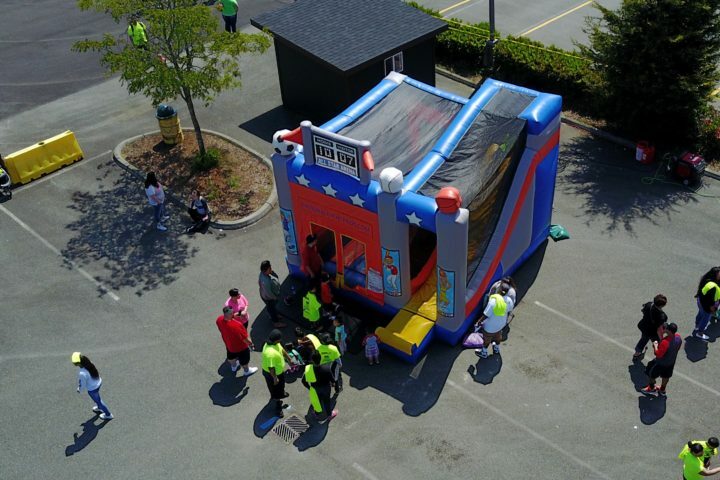 A sports themed bounce house and slide that fits the needs of any stadium event, superbowl party, and more. Complete with a climb and slide area and internal basketball hoop.